I posted a Video on my status sometimes ago and a friend’s reaction to it changed a part of me. The video showed a physically challenged man that was surrounded by people watching how he made amazing toys. Some of them would be willing to patronize him. The video said a lot against giving excuses and the physically challenged man seemed to be the perfect example of the courage you need for anything you want to be in life. I was happy about the whole message the video had passed but my friend wasn’t. His response got me thinking for a while and it made me realize that the world is really unfair and the unfair advantage has already been made into a culture. When you think about how brilliant and talented you are compared to those you see getting the cheerful moments, how do you feel? So, you know why people are generally willing to help the less privileged? People hardly help those who have the same advantage that they have. People are well-dispositioned to helping those they think can’t compete with them in life. That tells you why you are willing to give 50 Naira to a beggar that sits and do nothing but won’t think it twice to abuse a hawker for holding your 10 Naira change? News Flash: The guy hawking on the road struggles to make 300 Naira daily ($1) but a beggar by the roadside makes over 1,000 Naira ($3) daily. So the world slaps you with motivating videos and texts explaining why you have no reason to give excuses for your failure. When you need to call for help, you’re silenced by the waves of successes by the physically challenged. Deep within, you know that if you have a small percentage of the cheering crowd, the moral and financial support they get… You’ll get more out of life! That appears to be some people’s excuse for failure. Read: Who is a God-fearing Person and How to Know He/She Is? 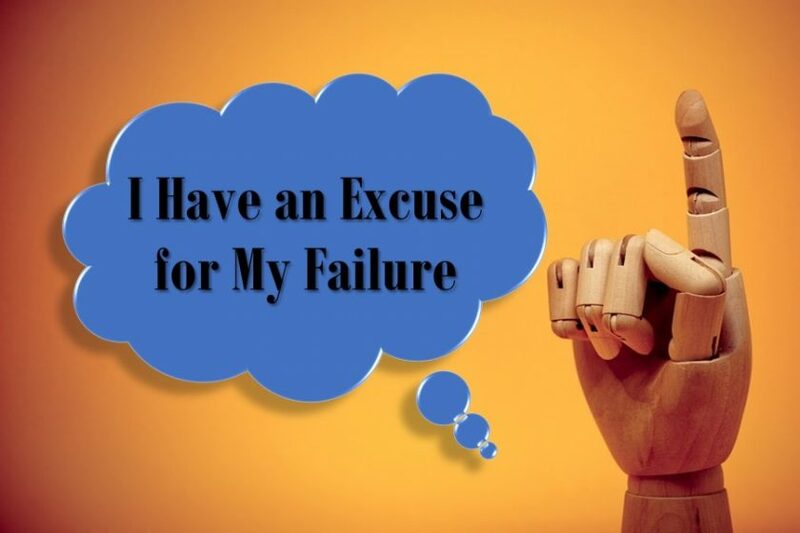 Do You Have an Excuse for Failure? If you’ve ever said, “if only I had…”, that shows you have. – The government of my country is one. There are many things we can do that some policies in a country like Nigeria won’t allow. – Lack of support from people is a potent excuse. It’s as bad as you can imagine already. The unfair advantage is a bad habit we all have learned all through our lives and it’s becoming too difficult to drop. What then do we do? Be conscious of that little help your friend wants you to render. Don’t think, “Ehm, he even looks richer than me… Another person will help”. We need to constantly remind ourselves of the battle against the menace for us to help ourselves out of it. And if you are in need, don’t be silent about it! Share you challenges with those that can help. Another challenge? Don’t be stopped by that, just keep asking and keep doing your best. Finally, don’t let excuses stop you as they stop many on a daily basis. In the face of the excuses, you should be determined to forge ahead, reach your goals and make things happen. The world is waiting for you! If you’ll have an excuse for failure, tell me, what would that be?